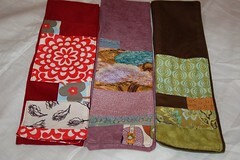 As you read in yesterday's post - I recently took part in a Handmade Holiday Swap with some friends. My person to knit for was my friend Jen - AKA ChaCha. 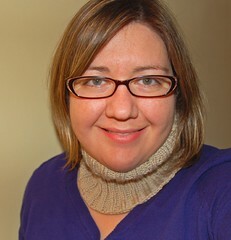 I knew I wanted to knit her a cowl and decided to try designing my own. 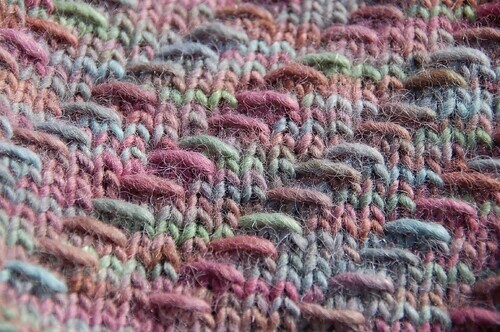 I found this cool barred knitting technique in a Barbara Walker book and took it from there. I used the barred technique to create a kind of swirl pattern. 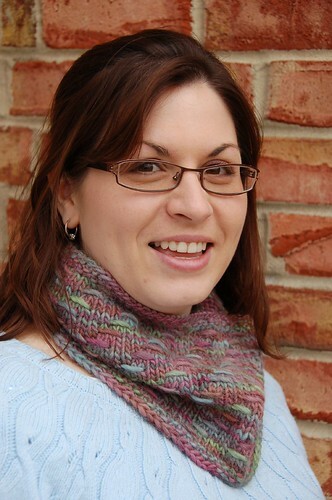 The name was obvious - I had to name it after the recipient - and it became the Cha Cha Cowl. 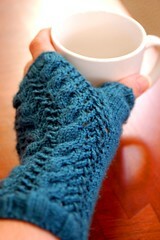 I hope you enjoy knitting it as much as I did - I have already knit three of them! 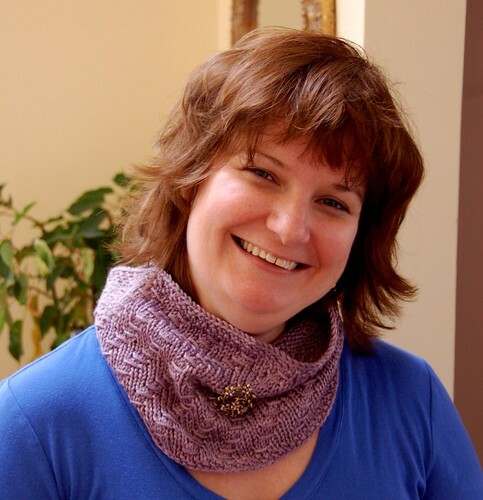 Sarah's sister Jen is modeling yet another version of the Cha Cha cowl. 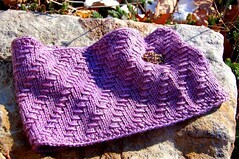 This time it was knit with a bulky weight yarn. 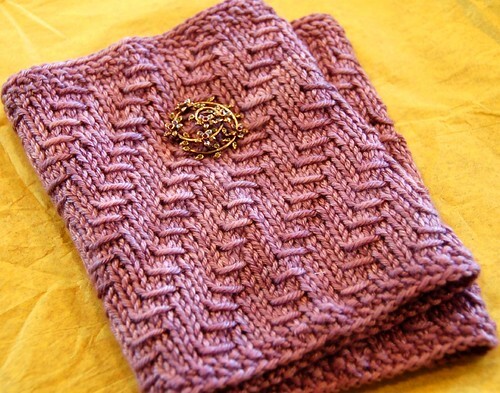 I cast on only 84 stitches for this one instead of 102 for the worsted weight cowl. As long as you use a multiple of 6 - you can adjust the size as needed. I also knit one with sock yarn held double. It's going to be a Christmas gift though - so no pictures yet! But I can say it looks really cool! 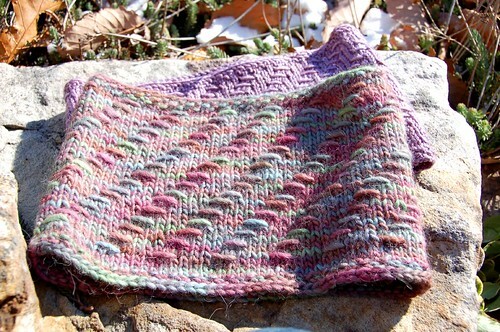 I used a skein of Socks that Rock Lightweight and had just enough in one skein to knit the cowl. 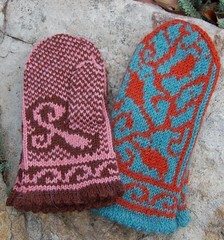 Cant wait to knit one for myself! 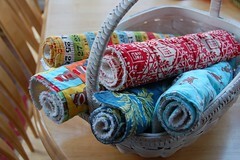 Hi there--been reading and enjoying your blog for awhile now but am horrible at commenting. But saw your new design and simply had to stop by to comment how much I like it. It's beautiful...I'll be adding this to my queue for after the holidays! 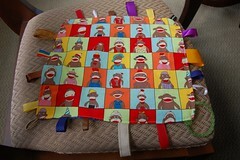 I am SO making one of those! 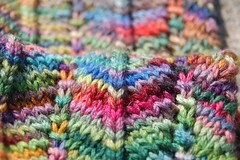 I love the texture of the stitch pattern!!! Like I'm not already cowl obsessed enough, you have to go and release another lovely cowl pattern into the universe. Thank you! I love it, what a great pattern. I love the pin also!